We are able to attend the symposium as guest of the organisers and gratefully, our air travel and expenses are paid for; helpful for our Gold Coast non profit organisation. During our stay, we will explore various hyperthermia clinics in Germany and plan to bring back a wealth of literature, studies and ideas. If you are wondering about hyperthermia, how it works and how it can help cancer situations, please watch the following short video from Oncotherm – the manufacture of medical hyperthermia units in Europe. We see this trip to Germany as an opportunity to explore first-hand, several clinics includng the hospital of Prof Alex Herzog and the clinics of Dr Ursula Jacob, and Dr Peter Wolf. All use hyperthermia as a part of a comprehensive cancer treatment program. We will also meet with Prof Thomas Vogl famous for his method of chemotherapy delivery; called chemo-perfusion which is often a partner to hyperthermia treatment, adding to the possibility of successful outcomes. Breast cancer hyperthermia, is now a leading-edge medical treatment in the USA and is used to heat and destroy or damage cancer cells. A non-invasive therapy, breast cancer hyperthermia works by delivering microwave energy directly to the tumor. By exposing a small area of cancerous breast tissue to high temperatures (about 106 degrees), hyperthermia therapy damages proteins and structures within cells, thereby shrinking breast tumors. The Grace Gawler Institute specialises in preparation, liaison and collaboration with clinics of excellence worldwide so that you can access the best in cancer care. We organise your medical files and dialogue directly with doctors about your treatment plan and quote. All you need to do is arrive at the airport – we ensure you have a friendly face waiting for you at your destination airport. Having had several pioneering surgical procedures myself in a foreign country – I personally appreciate the important journey patients make in order to extend their lives and hopefuly arrest their cancer. Remember also that overseas treatments may not be the magic bullet – there are things you may need to change /attend to in your personal life to lower your risk of recurrence. As well, it is imperative that you have treating oncologist who is prepared to continue treatments or monitor your situation on return to Australia. Support groups after returning can be helpful – we will begin online webinar support groups before June this year – you can log on from anywhere in the world! An announcement will be made on this blog. All the overseas clinics/hospitals we recommend, practise integrated oncology – they are not alternative medicine practices. SE Queenslanders – Please remember to support our Gold Coast Fundraiser 2nd March at Hope Island – Pre-booking is essential contact or buy tickets on line at the website above. Today the theme of this blog is to let readers know what we are doing at the Grace Gawler Institute for Integrated Cancer Solutions and to invite my Gold Coast subscribers to our March 2 Hope Island fundraiser. Every day we recieve calls from cancer patients who are confused and frightened about what they need to do to get the best results after a diagnosis. Many have tried only alternative medicine and find themselves in dire straits with tumours increasing in size and seemingly no options left; while others are experiencing a recurrence of a previous cancer and may be seeking treatments overseas. 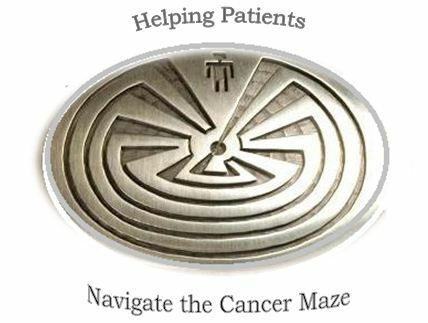 Unfortunately, we mainly see or connect with patients with advanced cancer because when they were diagnosed, they did not know that any organisation such as ours existed to help them navigate the increasing complex cancer maze. They were not aware of the importance of psycho-oncology or how collaborative medicine could them to fine tune treatment strategies and get all treating practitioners communicating with each other for the patient’s benefit. By the time they reach our Institute, many patients are already finacially exhausted, especially by long term use of expensive alternative medicine supplements. In order to help them, we subsidise their consultations and find innovative ways of referring them into the public system for treatments. We turn no one away and each week we consult with a few patients at no charge. This means that fundraising functions like the one below are very important to us to keep our services active. We receive no Government funding and have limited corporate funding at the moment. Ways you can support our work: A small amount donated by many, can make a real difference. If you can’t join us for our fundraising evening – you might like to consider a donation to The Grace Gawler Institute (tax deductible for amounts over $2 for Australian donors) receipts provided. We are a registered non-profit health promotion charity located on Queensland’s Gold Coast. You can also support programs for women with cancer by purchasing on line in my just released e-Book 23 Feb 2012 – Survivors Secrets – A woman’s guide: Strategies for surviving life-challenging illness. All proceeds from this purchase support our women with cancer programs for 2012. Tickets will be mailed immediately upon booking or you can… Purchase tickets directly from Grace (07 5577 2997) or from The Hope Island Deli ( address above). All proceeds go directly to support the work of the Grace Gawler Institute’s programs for women with cancer in 2012. Our institute maintains low overheads and admin costs with a high service delivery to patients. For subscribers who have been enquiring about booking for our one day Survive & Thrive workshops: Please note our new workshop dates have been listed on the website. Professor Alex Herzog is recognised by most cancer patients who have researched integrative oncology or hyperthermia (oncotherm) in Germany. Professor Herzog’s paper “Dangerous Errors in the Diagnosis and Treatment of Bony Tuberculosis” describes a patient who was misdiagnosed with metastatic cancer when in fact he had TB of the bone. This case demonstrates that even today, misdiagnoses can be made. Professor Herzog’s report, published in 2009, makes for fascinating reading in relation to the recent case of Ian Gawler. Since the 31 st December 2011 when the Melbourne Age published the headline: Cancer experts challenge Gawler’s ‘cure’ there has been interest from cancer patients, the general public and some doctors, as to what happened in Ian Gawler’s case. How could TB be mistaken for cancer and the obvious question; why it has taken 30 years to explore an unexpected remission from Australia’s most famous cancer patient? To answer the above as briefly as possible. No one questioned Ian Gawler’s diagnosis. It was presumed he had metastatic disease. There had only been one diagnostic biopsy in Ian’s medical timeline 1974 – 1978 and that was in January 1975. That biopsy positively identified as osteogenic sarcoma (bone cancer), resulted in his right leg being amputated. From those times there is a lot of evidence in the medical literature, that amputation alone was a cure for some with this disease. Because Ian’s prognosis was thought to be poor (if in fact it had been bone cancer) very few medical practitioners became involved in his case during that period; we were mainly in charge of whatever resources we could muster! When Ian first consulted Ainslie Meares in December 1975, Meares also presumed Ian’s illness to be metastatic cancer. When he wrote his famous MJA published abstract in 1978, Regression of osteogenic sarcoma metastases associated with intensive meditation; it is likely he had no idea Ian had suffered from TB, he certainly had little of the case history; Ian had only attended Meares groups for 6 weeks, stopping the sessions due to his rapid deterioration. His symptoms at that time were not typical of osteogenic sarcoma but with later knowledge were symptoms of TB. Unknown to Meares, Ian had practised a smorgasbord of techniques including imagery, yoga and Buddhist methods forbidden by Meares, as his method was based on stillness and silence. Without an adequate medical history and background, as well as publishing copious errors of fact; Ainslie Meares’ acknowledgement and endorsement of Ian Gawler, gave his ‘remission’ story great credibility and served as the fuel that fired an entire alternative medicine movement. That credibility has never been questioned until now; Prof Haines and Lowenthal have come forward as the only two oncologists who had followed the story, throughout the decades suspecting error. My 2010 MJA letter addressing errors in the story provided them with a series of anomalies that they suspected existed, but were never able to track down. The question of timing – why now? Why explore a remission from 30 years ago? If Haines and Lowenthal are correct with their recent IMJ published hypothesis; and I believe from first-hand being there experience, that they are; then the medical history books must be re-written and Ian must subject himself to appropriate medical scrutiny with regards to his history, presenting his samples for independent pathological examination. Cancer patients base their treatment decisions on Ian Gawler’s story; I hear it in my practise from people with advanced cancer at least 4-5 times per week – “Well if Ian did it , then so can I!” If it wasn’t secondary cancer that he had – cancer patients must know this fact. It is interesting to compare these two images. Above left Ian Gawler’s chest wall 7 July 1977. Left: Scan image of a patient with TB (not Ian Gawler) Note: tubercular adenopathy – abscesses of the lymph nodes. These can become calcified abscesses. In brief: Prof Alex Herzog published a journal article about a patient with tuberculosis of the bone mistaken as metastatic cancer. The patient had been in a University hospital in Germany and had started induction chemotherapy before he visited Professor Herzog who diagnosed that there was no metastatic cancer but tuberculosis. The patient received treatment and was cured with a combination of antibiotics over 2 years. The article can also be found on the public medical record at: http://www.ncbi.nlm.nih.gov/pubmed/19890413 The message is clear – biopsies and accurate diagnostics are necessary when dealing with any cancer related situation.